I’m using this site as a place to place links and websites about this topic. 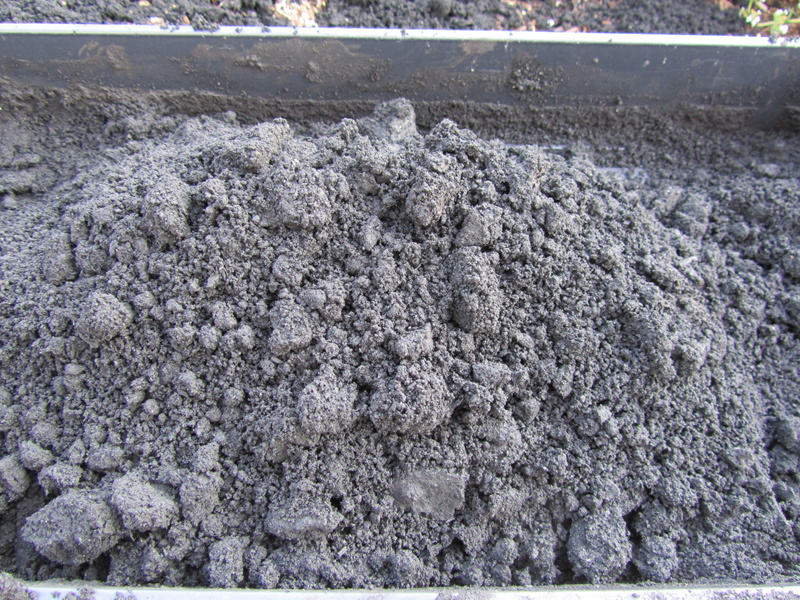 MAKING BIOCHAR: with Peter Hirst of New England Biochar – makes the point that charcoal will compete with plants for water and nutrients so he mixes it with compost and water for a couple of weeks before he adds it to the soil. How to make charcoal in a weber kettle. 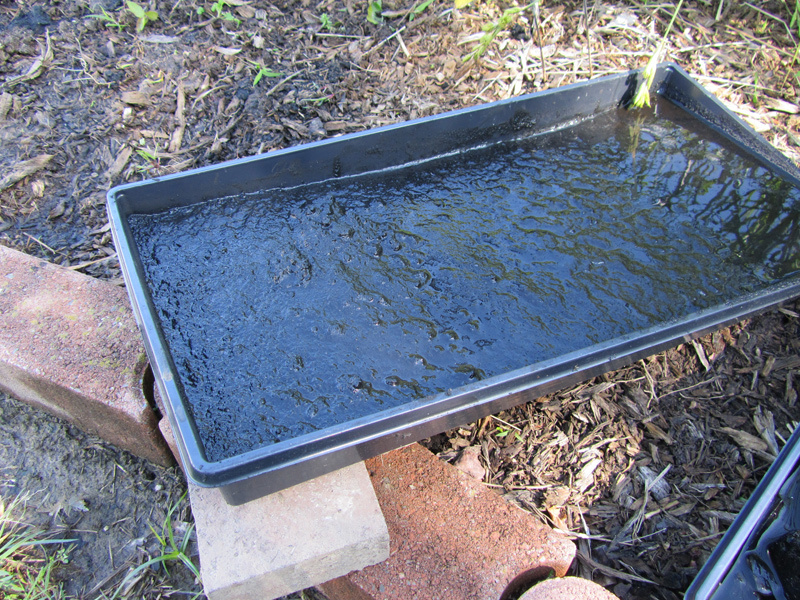 One of the experiments I’m trying this year is to mix charcoal in with my fertilizer. I’m mixing it at a ratio of 1 to 1, so in essence I’m cutting my fertilizer use by 50%.While the new charcoal will capture some of the fertilizer nutrients over time, I don’t expect any big change since I’m putting this on fairly lightly. I can always add more fertilizer later in the year if the plants look like they might need some help. I am starting to find other sources of charcoal as I surf the web. 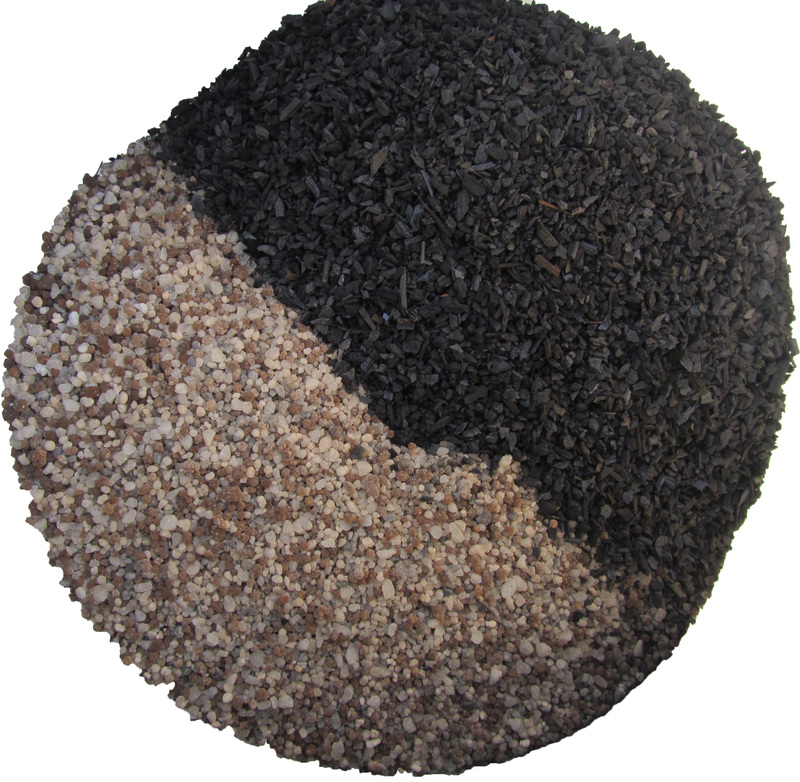 Here are some sources of horticultural charcoal which comes in varying sizes. Hummert (I bought 100# in St.Louis for $82 – March 2011) Charcoal in briquet form costs about 50% less. I found this video from the Discovery Channel. 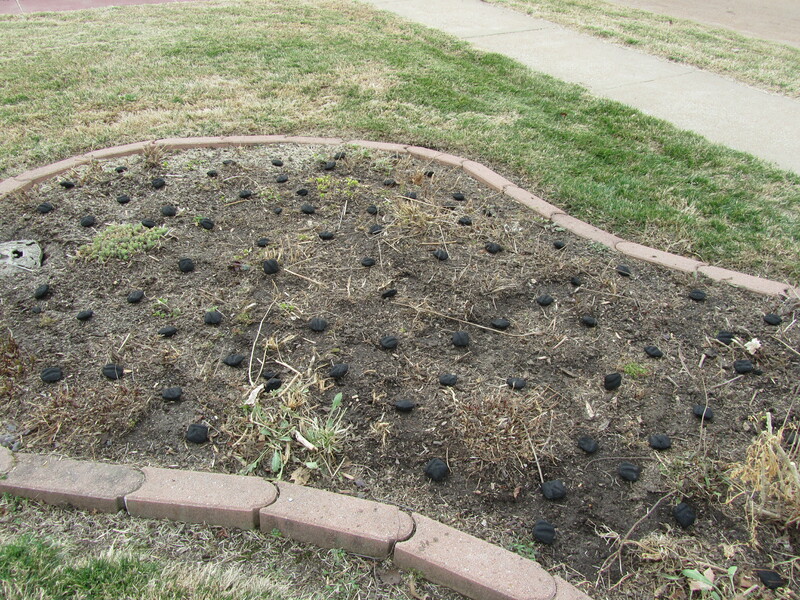 It doesn’t appear that there is anything “bad” in briquettes to preclude them from being used in the garden. Note – a couple of other non-official sites also list a few other ingredients – borax, sodium nitrate, sawdust, mineral char. Site 1, site 2. After doing previous charcoal experiments, (check out the Charcoal Category), I’ve decided that this will be my first year to put charcoal over my entire garden. It will be interesting to see how long it takes to break down so I can incorporate it into my soil. There may be a PH, soil acidity, problem, but I will have to watch and see what happens with charcoal. I ended up using 100# of charcoal for all my gardens. 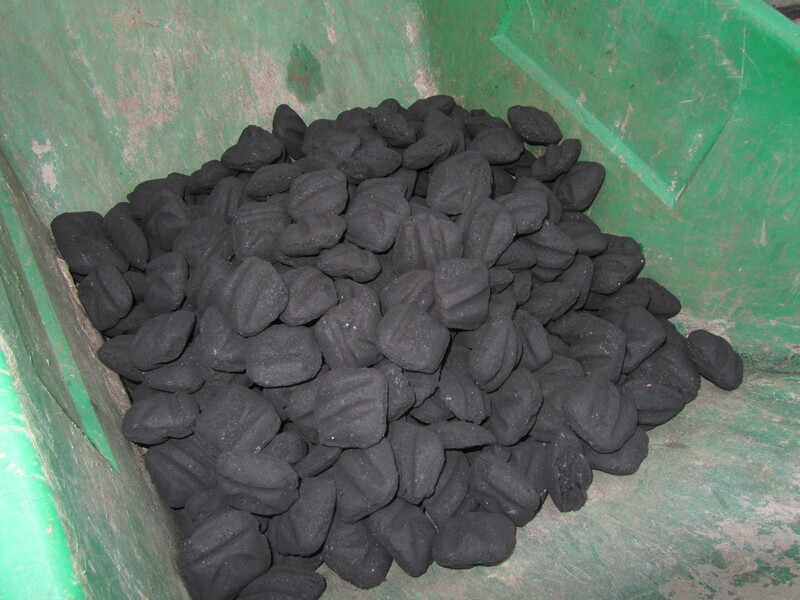 Note – I have found at least one brand of briquettes, Wicked Good Charcoal, say that they only use corn starch as a binder. Other sources seem to have a few more ingredients, but nothing terrible. MAKING BIOCHAR: with Peter Hirst of New England Biochar – makes the point that charcoal will compete with plants for water and nutrients so he mixes it with compost and water for a couple of weeks before he adds it to the soil. I’m not worried about this since I will later add compost and fertilizer. Charcoal Experiment – August 11th. 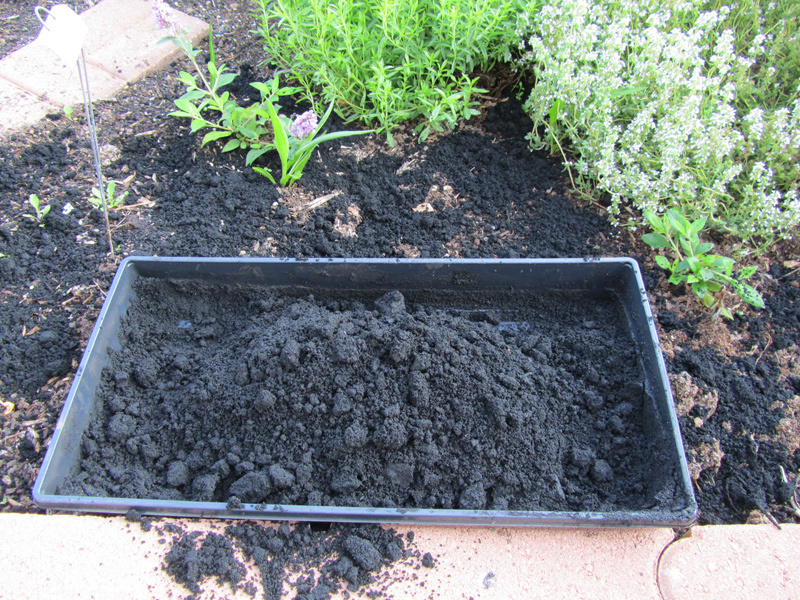 Below is a picture of the charcoal experiment where I added unburned natural charcoal to the soil. The charcoal pot is the one on the right and seems to be doing the best. 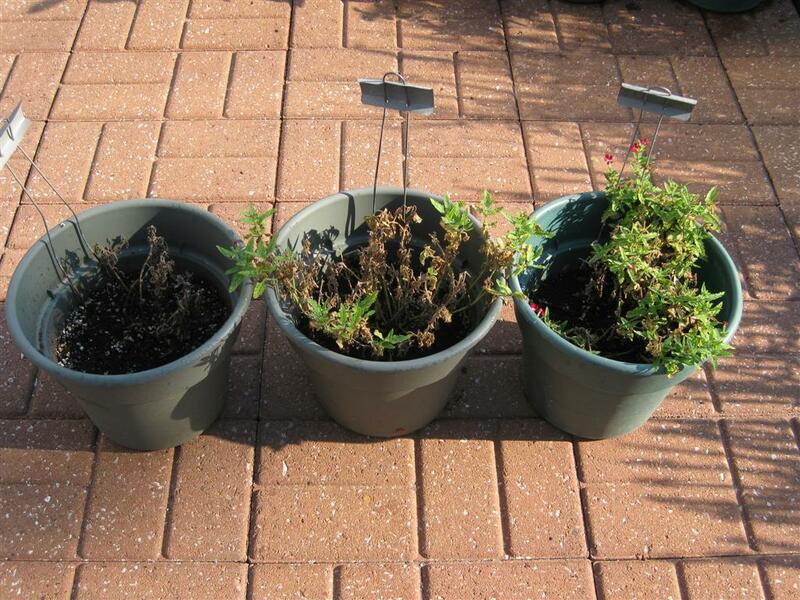 The plant without any fertilizer did die out and the one with just fertilizer, in the middle, is doing poorly. I’ll try this with different plants next year as this particular Verbena didn’t do well in other areas.